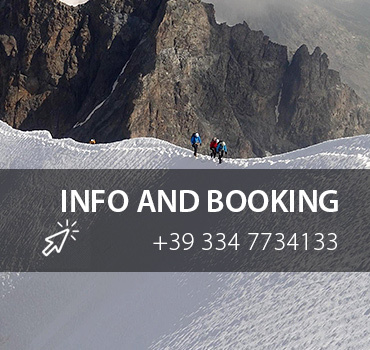 A unique and spectacular ring-crossing, allowing to climb several 4000m peaks in few days, lodging in some of the most suggestive huts in Europe. 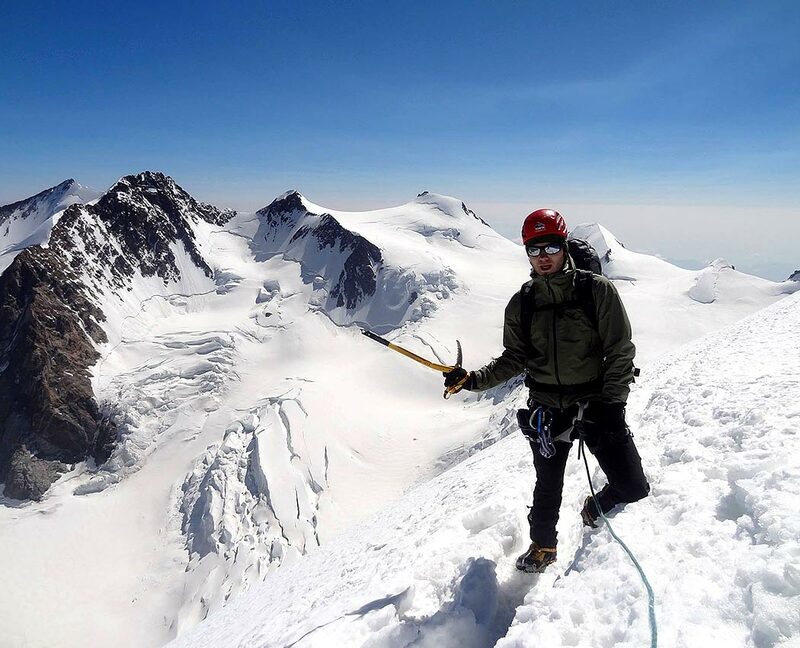 The program we offer, even though not technically demanding, requires a good physical condition, training and secure step on ridges because of the long distances and big difference in height to go through every day. Day 2: ascent with cable lift to the Piccolo Cervino, crossing of the Breithorn , 4165m, and ascent to Castore 4221m (optional climb of Polluce 4091m), descent and overnight at Quintino Sella hut 3585m. Day 3: ascent to the Lyscam nose 4272m (optional the crossing of the two Lyscam), ascent to the Vincent pyramid 4215m, descnt and overnight at Mantova’s hut. Day 4 ascent to point Ludvighohe 4.342 m, progression to the Gnifetti point and overnight at Capanna Margherita 4554m, the highest hut of the Alps. Day 5: ascent to the Zumstein peak 4563 m(optional the ascent to the Dufour 4634m the highest peak of the Mount Rosa group), descent on the Grenz glacier and overnight at the Monte Rosa Hutte. Day 6: descent from the hut and ascent to the Rottenboden station, train transfer to Zermat and return back home. Not included in the fee: Hut's expenses, cable lift and train tikkets, and all not specified in "included".